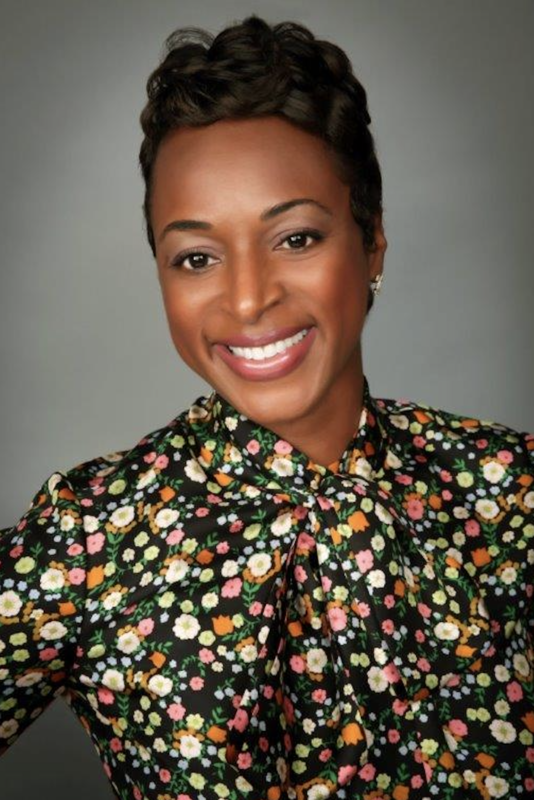 SVP of PayPal Doniel Sutton reveals how she stays energized and finds her balance with technology. Doniel Sutton: Stretch and express gratitude for having another day to live. DS: I find energy to be contagious, so I draw mine from being around others. I try to surround myself with people who don’t take things too seriously and have a positive outlook on life. DS: I love my lists! Whether at home or work, I regularly make lists to help me stay organized and focused on what needs to get done in any particular day. I also engage in mental exercises daily and have been doing so for many years. Lumosity is a wonderful resource to help people train their brains and improve focus. I spend 15 minutes each day on the site and it has really helped improve my ability to effectively manage various tasks simultaneously. More recently I have realized the importance of vitamins and nutrients. In focusing on wellness and nutrition, I hope to keep my immune system at its peak which is especially important given my travel schedule. DS: I’m especially drawn to books that help me become a better person, both personally and professionally. One of my recent reads was 13 Things Mentally Strong People Don’t Do which provides tips such as the importance of embracing change, risk-taking and learning from past mistakes. DS: Like many of my colleagues, I am always accessible, and we operate in a heavy texting culture so I had to figure out a way to bring some balance to my life. In an attempt to create some degree of separation in an environment where everything is integrated, I have two phones – one for work and the other for personal use. While both devices don’t literally sleep with me, they are usually within arm’s reach. That said, I always turn off any notifications before bed. Of course, on the weekends, I spend more time with my personal phone but when Sunday night rolls around, I have to make an exception as I prepare for the week ahead and start making my lists. DS: I have become very equipped at creating effective Outlook rules, the most important of which is sending emails to a specific inbox that are directed to me (versus emails on which I am copied). Those sent directly to me require my attention and response, so it helps to reroute everything else. I picked up this tip in a class a few years ago and it has resulted in half the number of emails in my inbox. This is especially important because I respond to every email addressed to me, whether it’s an employee, someone in my broader professional network or our CEO. I believe people deserve the respect of a response. DS: I rarely have this luxury but when I do, my time is spent thinking. My days are so packed with meetings and travel that I have to park a number of things in my mind. When I have the mental capacity to bring those to the forefront, I take full advantage. DS: Recently, just before I took my sabbatical (a wonderful benefit offered to all PayPal employees, by the way!). At that point, there was an overwhelming degree of work that was culminating and that was all-consuming. It took precedence over everything else. DS: Not too long ago, I made a bad hiring decision. I didn’t trust my instincts and it quickly become obvious that this person wasn’t a good fit. It was a tough lesson learned but it serves as a reminder that I need to always ensure my gut is in alignment with my decisions. TG: What advice would you give your younger self? DS: Be bolder on advocating for the things you want. Seek out new opportunities and be proactive about taking (informed) risks. DS: Learn from yesterday, live for today and hope for tomorrow. Doniel is a proven, values-driven leader who brings nearly two decades of industry expertise to PayPal’s leadership team. She joined PayPal in 2011 as a Senior Director of Human Resources focusing on strategies to improve management and leadership capabilities, and on creating a culture of integration and collaboration through the development and implementation of HR processes aligned to business priorities. Her role expanded to include some of PayPal’s largest functions, including Global Product & Engineering, when named Vice President of People in 2015. Prior to PayPal, Doniel worked as VP of Global Human Resources for Prudential Real Estate and Relocation Services. In addition to leading the global HR function, she served as an executive coach to senior business leaders and was an executive sponsor for PRERS Diversity Affinity organization, Black Leadership Forum, providing mentorship to mid-level managers. Before this, Doniel spent more than eight years in senior leadership HR roles with Bank of America and five years with Honeywell International as part of their accelerated rotational leadership development program called Pathways. Doniel was named one of Savoy Magazine’s Top Influential Women in Corporate America in 2016 and one of Black Enterprise's Most Powerful Executives in Corporate America in 2018. She was most recently recognized as The American Business Awards' Human Resources Executive of the Year, Bronze Stevie Award recipient. Her strong track record of accomplishments extends beyond her professional scope of work. In addition to her contributions as an active HR thought leader and her volunteer work with various affinity groups championing women and minorities, she currently serves as a member of the Executive Leadership Council & National Coalition of 100 Black Women, Orange County Chapter, and is working to evolve PayPal’s diversity and inclusion programs, with a focus on establishing the company’s first Black and Hispanic affinity groups. Doniel holds a Bachelor of Science in Finance and a Master’s of Business Administration in Human Resource Management, from the University of Illinois at Urbana-Champaign.